My teacher has asked me to give a presentation about an imaginary company. According to the instruction, I should introduce both income and turnover of that company, but I was really confused about the difference between these two words. After some googling, I found "income" means "money received, especially on a regular basis, for work or through investments. ", whereas "turnover" means "the amount of money taken by a business in a particular period." However, the difference is still not clear to me. Does a company's "income" include its "turnover" in some sense, or vice versa? How was this divided up by region(country)? What was its final income? What % was spent on Research & Development(R&D)? 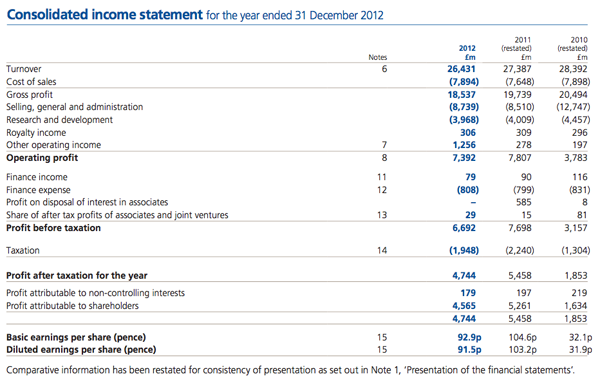 is the amount of money a company makes after certain reductions, e.g. cost of goods sold. So, income includes turnover in its calculation. Not the answer you're looking for? Browse other questions tagged meaning word-usage word-meaning difference word-difference or ask your own question. Difference between nonconformity and inconformity? Does “get paid” mean “receive the income”? What is the difference between “snort” and “snore”?